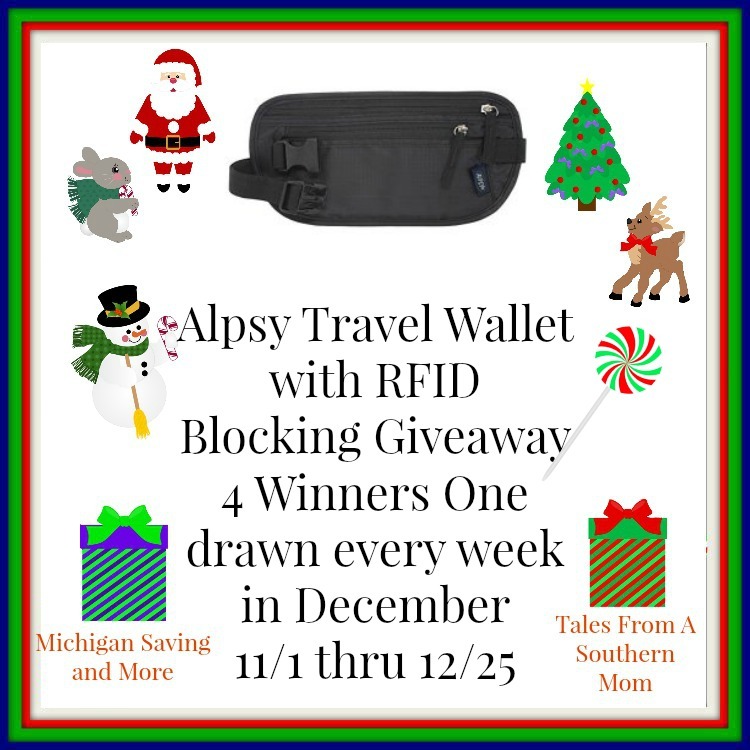 We're giving away four RFID blocking travel wallets from Alpsy, one each week of December. Long entry period here for the holidays. Continental US only entrants. You have through 12/25 to enter. Good luck.